Caroline Johns saw three important problems to solve after becoming superintendent of the Northgate School District in July 2016. She needed to increase the number of graduates going to higher education, improve third-grade reading scores and examine the five tracks of math that students were funneled into in middle school. But not until a year later did she become aware of an underlying academic achievement issue she hadn’t recognized. Academic achievement of black students trailed that of white students in grades 7-12. Black students at the middle school were stuck in the lowest-achieving math tracks, and black students were not enrolled in upper level or Advanced Placement courses in high school, according to data presented by the district’s newly hired curriculum director. Of the 42 Allegheny County school districts outside the City of Pittsburgh, 23 had one or more schools with achievement gaps between black and white students in the 2017-18 school year. The state doesn’t provide public data on the remaining 19 districts because they do not have at least 20 black students at their schools. Five districts — Northgate, McKeesport Area, Penn Hills, Gateway and East Allegheny — had double-digit racial achievement gaps in every school, according to data from the state’s Future Ready PA Index. The index, released in November, is the state’s new annual tool for measuring academic achievement. It marks the first time since 2012 that the state has released test scores by racial subgroups. A subgroup consists of 20 or more students in a school. Northgate, Gateway, McKeesport Area, Montour, Woodland Hills and Penn Hills are among districts that acknowledged their gaps and that they’re making efforts to narrow them. But some districts wouldn’t discuss the issue, including Fox Chapel Area, Moon Area, North Hills and East Allegheny. Schools in these districts had some of the largest percentage point gaps in the county or had more than one school with a gap, according to state data. PublicSource wrote about large racial achievement gaps in the Pittsburgh Public Schools in September when the district included the data in its annual report. The gaps exceeded 40 percentage points at some grade levels. In predominantly white suburban schools, overall proficiency rates can mask the fact that black students are underachieving. For example, at Dorseyville Middle School in the Fox Chapel Area School District, the overall rate of students scoring proficient or advanced in English was 86 percent. But for black students, it was 50 percent. The student population was 3.5 percent black in the 2017-18 school year. Likewise in math, 67.5 percent of students overall scored proficient or advanced, but 20 percent of black students hit proficiency targets. Fox Chapel officials did not respond to repeated requests for comment. Across the country, differences in achievement have long been blamed on socioeconomics and deficits in preschool learning — in other words, causes that speak to an environment likely out of a school district’s control. 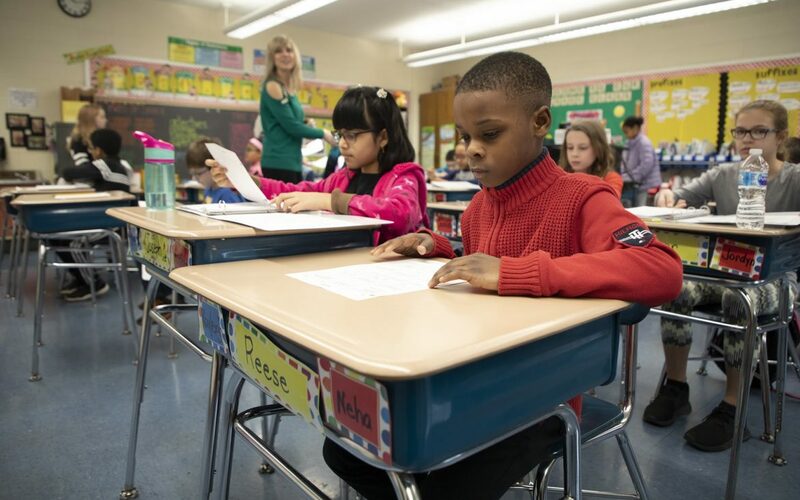 “While we know that socioeconomics has a powerful impact on achievement, issues of racism continue to be a huge obstacle,” said Darius Prier, associate professor and associate dean for teacher education at Duquesne University School of Education. 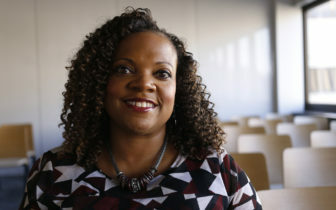 The lack of response from some district leaders could be attributed to factors such as a lack of understanding on how to address the issue, lack of school board support or an expectation for minority students to underperform, said Dana Thompson Dorsey, an associate professor of urban education at the University of Pittsburgh’s Center for Urban Education. “Some don’t recognize the disparity, and a lot of that is because of implicit bias. When subconsciously you automatically expect black children not to do as well and you expect them to be a disciplinary problem, when you see it in black and white, it doesn’t pop out to you,” Thompson Dorsey said. The largest racial achievement gaps among the school districts outside Pittsburgh were at Steel Valley High School, where there was a 55.6 percentage point gap between white and black students in literature, 52.1 points in math and 41 points in biology. While the school has the starkest disparity, a racial achievement gap is not seen across all schools in the district because the student population at Steel Valley’s two elementary schools — Park and Barrett — are broadly split along racial lines with predominantly white Park outscoring predominantly black Barrett by 32.6 percentage points in English and 47.2 points in math. PublicSource previously reported on the racial gap between the elementary schools. Steel Valley Middle School also had large achievement gaps — 40.3 percentage points in English, 25.7 percentage points in math and 36 in science. In math, 11.5 percent of black students scored proficient. Last fall, the Department of Education placed Steel Valley’s high school and middle school on its Additional Targeted Support and Improvement List, which requires the district to come up with an action plan to address low test scores from black students. 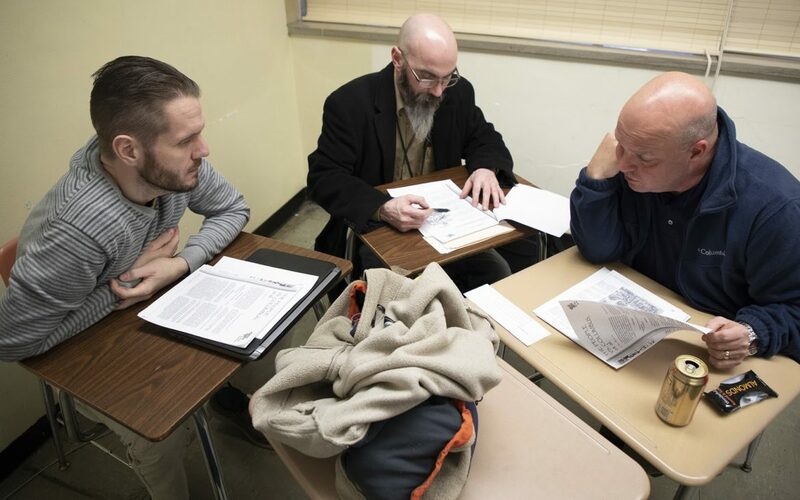 Steel Valley Superintendent Edward Wehrer wrote in an email that he is aware of the racial achievement gaps and, as a result, joined the first cohort of the Superintendent’s Academy created by state Secretary of Education Pedro Rivera. The academy was created as part of the secretary’s Poverty and Student Achievement Initiative. “We certainly want to do better on standardized tests, not just with our African-American students, but with all of our students,” Wehrer wrote. He did not offer specifics on plans or programs to make that happen. Thompson Dorsey said gaps at Steel Valley High School can likely be attributed to the high rate at which black students are suspended and the high chronic absenteeism among black students. She said it’s a trend that is seen nationally. 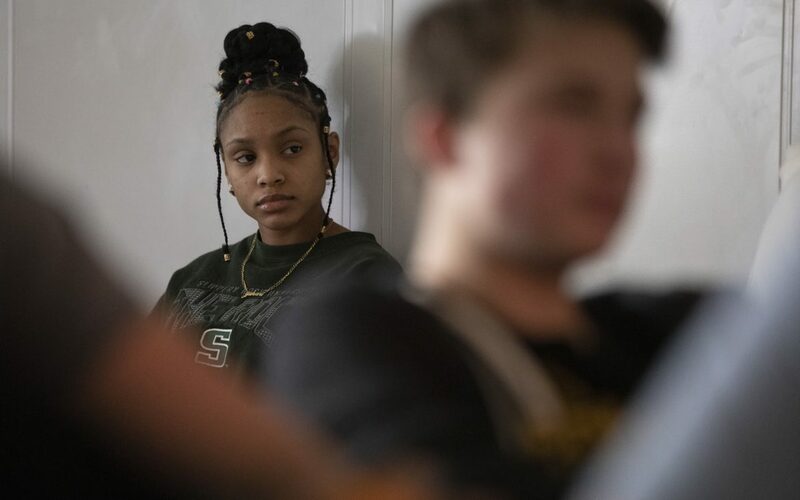 At Steel Valley High School, 83 percent of suspensions are given to black students, who make up 37 percent of student enrollment. About half of the black students attend school regularly, compared with 71 percent of white students. Suspensions for black students often involve subjective factors, Thompson Dorsey said. Feeling unwelcome at school can prompt some students to stay away. Time out of class affects students’ ability to achieve, she said. And even for students who attend regularly, feeling they are unwelcome can make them disengage. Wehrer also wrote that some “root causes” of the racial achievement gap “lie outside of our control.” He did not specify causes but cited large racial achievement gaps across the state. Statewide numbers from 2017-18, show achievement gaps between white and black students across Pennsylvania of 34 percentage points for English, 36 percentage points for math and 39 percentage points for science. Thompson Dorsey said statements like Wehrer's are the equivalent of blaming children for their lack of academic success. “It’s easy to let our biases creep in and say that it’s not our fault, it’s the children and their families who are at fault. There’s a ton of literature on this and that’s called deficit perspective when you are blaming children for their achievement or lack thereof in school,” Thompson Dorsey said. In McKeesport Area, Superintendent Mark Holtzman acknowledged the racial achievement gaps and the low proficiency rates among black students in the district. State statistics, however, show that students are making academic growth in some areas even though they are not hitting proficiency targets, he said. Holtzman pointed to increases in English proficiency rates at Founders Hall, which houses grades 6-8, but acknowledged a lack of progress in math and science scores. According to the Future Ready PA Index, 8.5 percent of black students scored proficient in math and 6 percent scored proficient in science. "Math is dismal but moving in a direction that we are hopeful will continue," Holtzman said. Those scores landed Founders Hall on the state’s Comprehensive Support and Improvement list. The designation requires the district to take action to improve scores but also provides staff and funding for the effort. McKeesport Area High school is on the state’s Additional Targeted Support and Improvement list because of the academic performance of black students and students with disabilities. The district must come up with plans for improvement. Holtzman, who is also a participant in the statewide Superintendent's Academy, said his administration holds a two-hour “principal's summit” each month to discuss the achievement issues and brainstorm ways to improve them. He said the district can’t afford to bring in outside professional development trainers. “It’s easy to let our biases creep in and say that it’s not our fault, it’s the children and their families who are at fault." The superintendent believes some of the answers lie in getting more mental health services, social services and city services to students and their families. About 300 district students are homeless, about 40 come from the Auberle Center, which houses court-adjudicated and foster youth, and 62 percent are economically disadvantaged. Fawn Walker-Montgomery, a community activist, mayoral candidate and mother of a ninth-grader, said she’s not surprised the district has achievement gaps and low proficiency rates among black students. Walker-Montgomery, said black students have experienced the institutional barriers described by Prier and Thompson Dorsey. “The [black] kids do not feel comfortable here, and they feel they are suspended more often than white kids,” Walker-Montgomery said. She and other adults helped students lobby to create a black student union at the high school, a request they made to school administrators in August 2018. She said the students worked with school leaders, found an adviser and expected the school board to approve the organization on Feb. 27. But when students and some supportive adults attended the school board meeting the item was not on the agenda. Superintendent Mark Holtzman addressed the group and insisted there is no mistreatment of black students in the district. Holtzman told PublicSource the item was never scheduled for a vote. He said he wants black students to have a “safe place” to express concerns but that he fears forming a black student union could divide the student body, nearly half of which is black. He said he would prefer to see students work through issues in a more inclusive group such as the “No One Is Alone” organization started several years ago by LGBTQ students. The group has expanded, he said, to include all students and they discuss issues such as bullying. The school board diversity committee is now studying the matter. In the Gateway School District, racial achievement gaps have been on the radar for several years. A quarter of the student population is black, and each of the district’s seven schools had achievement gaps in 2017-18. Gateway Superintendent William Short said the district has tried to reduce gaps by providing implicit bias training for staff from Pitt’s Center for Urban Education and professional development on culturally relevant lessons and materials. In September 2017, the district hired part-time equity director Phillip Woods to help formulate a remedy. He is also the principal of Woodland Hills High School, which also has a large racial achievement gap. Gateway now assesses each student as they enter the district and again at ninth grade to identify what academic supports they may need. The efforts appear to be paying off. 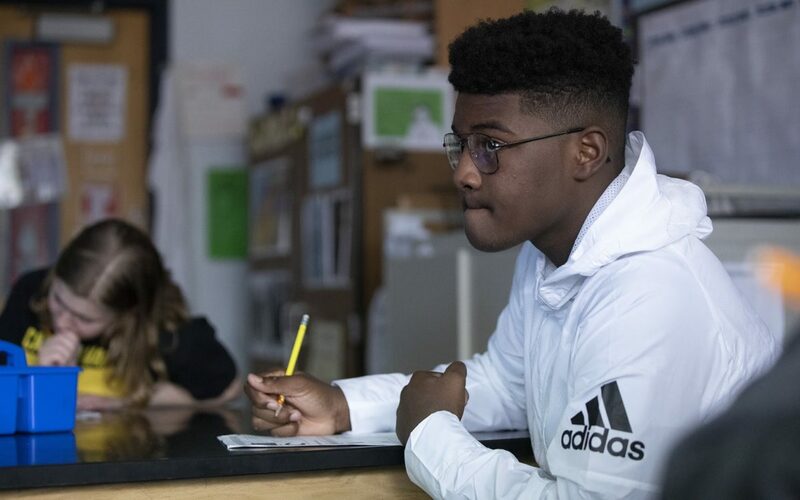 The proficiency rates of black students at Gateway High School are the highest among black students in the 42 school districts outside the City of Pittsburgh. Short provided data on the cohort of students who were in third grade in 2015. Among black students, English proficiency rates increased from 57.2 in 2015 to 70.7 in 2018. Students scoring below basic decreased from 11.9 percent to zero. For the same cohort in math, proficiency rates increased from 43.9 percent to 47.5. The below-basic percentage started at 19.5 percent in 2015 and reduced 2 percentage points by 2018. Northgate also hopes to shrink its achievement gaps. To do so, the district eliminated the grouping of students by ability level in middle school academic subjects. Staff also worked with black students and their parents to encourage enrollment in more rigorous courses at the middle and high schools. Northgate plans to offer implicit bias training for staff and removed the requirement that teachers recommend students for AP courses — a barrier for black students at the high school. When training new teachers, Prier said the faculty at the Duquesne University School of Education provides its mostly white students with opportunities to build relationships with diverse communities. For example, some classes are taught at the East End Cooperative Ministry Shelter with the help of homeless residents. The school has also conducted projects with 1Hood Media, a group of artists and activists that use art to raise awareness of social justice issues. Prier said he brings in relevant speakers and co-teachers. One such speaker was Leon Ford, who was shot and paralyzed by a Pittsburgh police detective in 2012. “Because you have had such a gap and a chasm between the two different worlds, part of the solution and the pedagogy is inside the narratives of the community,” Prier said. In Woodland Hills, the administration is aware of the low proficiency rates and large racial achievement gaps across the district. Though much of the administration is new this school year, the numbers didn’t surprise Assistant Superintendent Juliette Pennyman. “It’s the same picture everywhere, urban and suburban, and we have to get to the root cause of why, and I believe that’s where cultural competency and making sure that we build relationships with children and parents is important,” Pennyman said. The district has worked to make lessons, textbooks and curriculum culturally responsive to all students’ backgrounds, to train teachers about implicit bias and to provide targeted intervention to students who need it. Much of the professional development is provided by instructors from Pitt’s Center for Urban Education. During a Feb 13 session, a room filled with mostly white social studies teachers shared ideas on how to make lessons more culturally relevant to minority students. One teacher said he compared Prohibition to the war on drugs and had the class discuss how black Americans are more likely to be arrested for drug violations. Another pointed out that history is often told through “the eyes of the winners,” and that it’s important to have varying perspectives provided in a lesson. For example, one teacher suggested, when teaching about Christopher Columbus, it would be important to also provide the perspective of Native Americans. This story and data was fact-checked by Kieran McLean. PublicSource Interactives & Design Editor Natasha Vicens built the graphics for this story.